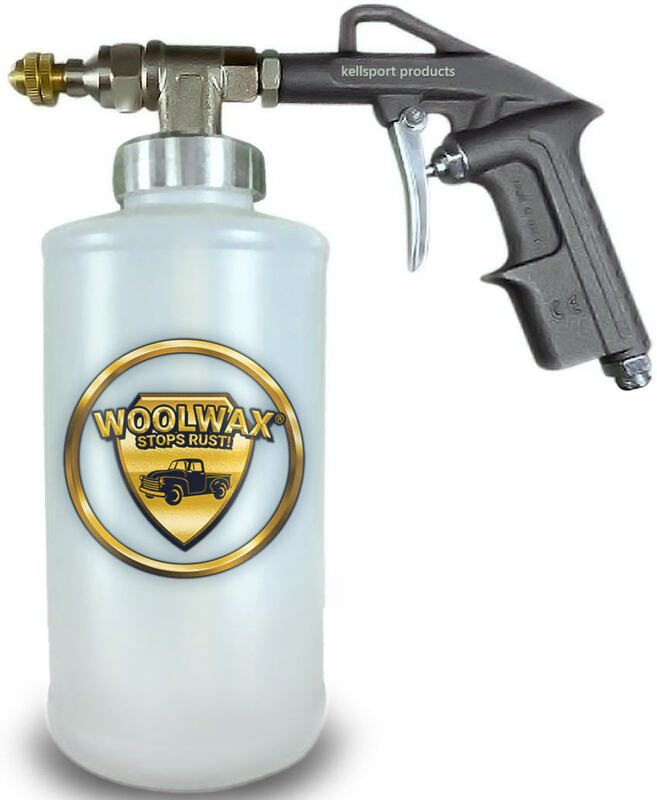 This is the Woolwax® PRO applicator gun . 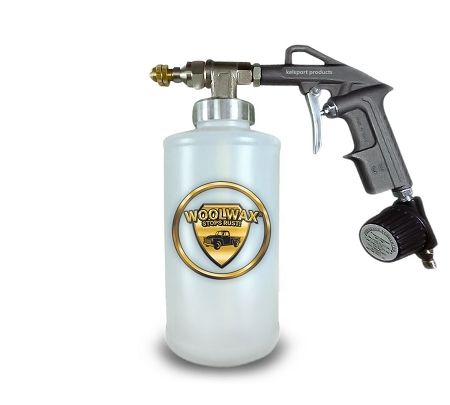 We consider this to be the best applicator spray gun available for Woolwax® undercoating applications. We had this gun modified and developed specifically for Woolwax® undercoating. 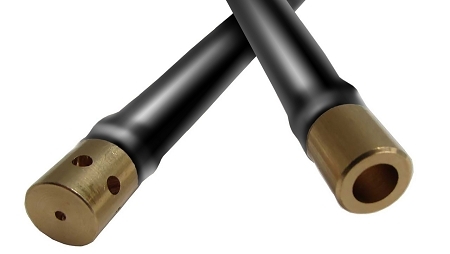 This gun comes complete with (1) 32" flexible wand with 360° nozzle, and a 24" flexible wand. Kellsport Products undercoating guns use very little pressure. Only 70-90psi. Most compressors run around 125 psi. So the psi and the cfm are not really important in this application. The tank size is important. We recommend no smaller than a 3 gallon tank size. Any smaller than that and you are constantly waiting for the tank to recover. Most very small compressors will say on the box "not adequate for spray painting". As long as you can spray paint with a compressor, you can use it to undercoat. Many people have told us they they have bought inexpensive compressors ($75+/-) from Harbor Freight or similar stores and they work just fine. We suggest putting an inexpensive regulator ($10+/-) on the gun end so you can tweak it from the gun without having to go back and forth to the compressor. Don't try to remove the fitting at the bottom of the gun handle, as it does not come off. It's a standard 1/4" fitting. bring the gun with you to the store for the right connection.